We are glad you have come to adopt a new pet from our shelter. Provide (2) personal, NON-Family member references. 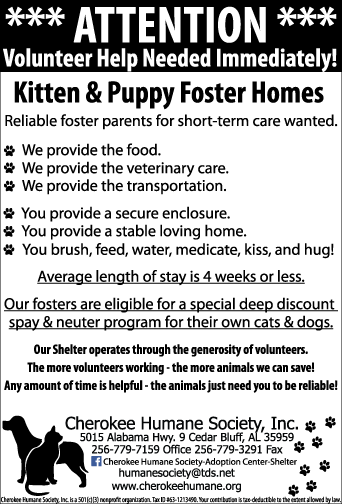 Cherokee Humane Society uses Petango.com's application process. You must register and create an account with Petango.com in order to complete our adoption application. 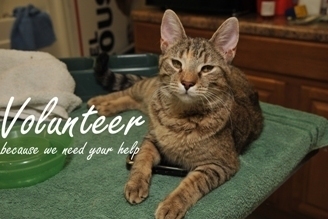 Just go to our Petango.com page and click the "Begin the Adoption Process"
If you already have an account with Petango.com, just click on the "Adoption Application" button on the pet's profile page you are interested in adopting. The information is required so that we can assist you in the selection of a new pet. The animal’s welfare is our foremost consideration. The consultation process is designed to help us determine if the adoption is in the animal’s best interest, and to assist you in finding an animal compatible with your lifestyle. After you complete the online application an Adoption Center Coordinator will contact you about next steps in the adoption process. NOTE: THE PROVIDING OF FALSE INFORMATION HEREIN WILL RESULT IN THE FORFEITURE OF ADOPTION FEES AND ANY ANIMAL ADOPTED. 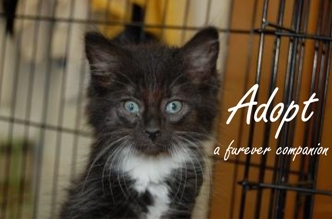 Our adoption fee includes the first set of shots (including rabies) and worming, a wellness check. All adult dogs are heartworm tested. 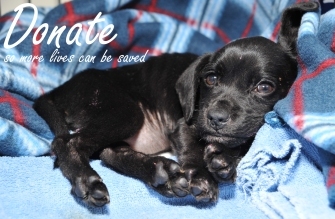 All animals are spayed/neutered adults prior to leaving the shelter and puppies will return when maturity is reached.